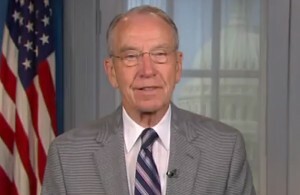 U.S. Sen. Chuck Grassley will hold seven town meetings in Adams, Taylor, Fremont and Mills counties on Wednesday, Aug. 19, and Shelby, Cass and Audubon counties on Thursday, Aug. 20, as part of his annual 99-county meetings. Grassley has held a meeting in each of Iowa’s 99 counties at least once every year since he was first elected to the U.S. Senate. On Aug. 19 Grassley will be in Corning, Bedford, Tabor and Malvern. On Aug. 20 Grassley will be in Harlan, Atlantic and Audubon. These town meetings are open to the public and media.